The preliminary investigation revealed that a 1998 Ford F150 Pick Up Truck was traveling west on Mechanicville Turnpike in the area of Thunderbird Lane and subsequently left the right side of the road impacting with a tree. A citizen observed the incident and notified emergency responders. 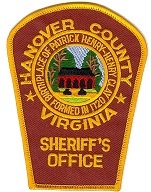 The driver of the vehicle, Brian Mihalcoe, 37, of Manquin, VA was pronounced deceased at the scene of the crash. Investigators continue to collect information in order to determine the circumstances that led to this tragic incident. We extend our sincerest condolences to the family and friends of Brian Mihalcoe.